October 17, 2016: Former Association President Ralph White has decided to step down from serving as one of the elected members for the State Retirement Board. He was first elected to serve on the State Retirement Board in January of 1997 and has served continuously since that time. Twenty years later his successor as Association President, Frank Valeri, has announced his candidacy to run for his open seat. By electing Frank, our Association will continue to have the greatest possible legislative representation in the Commonwealth and also provide the best possible personal service to you as a retiree or survivor,” added White. 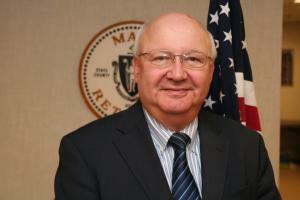 Ironically, now after serving as his successor as Mass Retirees Association President, for the past three years Frank Valeri has announced his candidacy for very similar reasons. 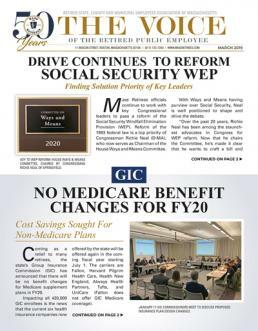 “I lived through 2 major pension reform laws that significantly reduced state employees benefits, required greater accountability and transparency of the Board members and has made our retirement benefits more complex than ever,” explained Mr. Valeri. President Valeri spent his last eight years of his 38-year career in state government as the Deputy Executive Director of PERAC, the oversight agency responsible for the implementation of the Pension Reforms Acts passed in 2009 and 2011. The election will be held this fall with ballots being mailed on October 14th to all state retirees and employees and due back before December 2, 2016.